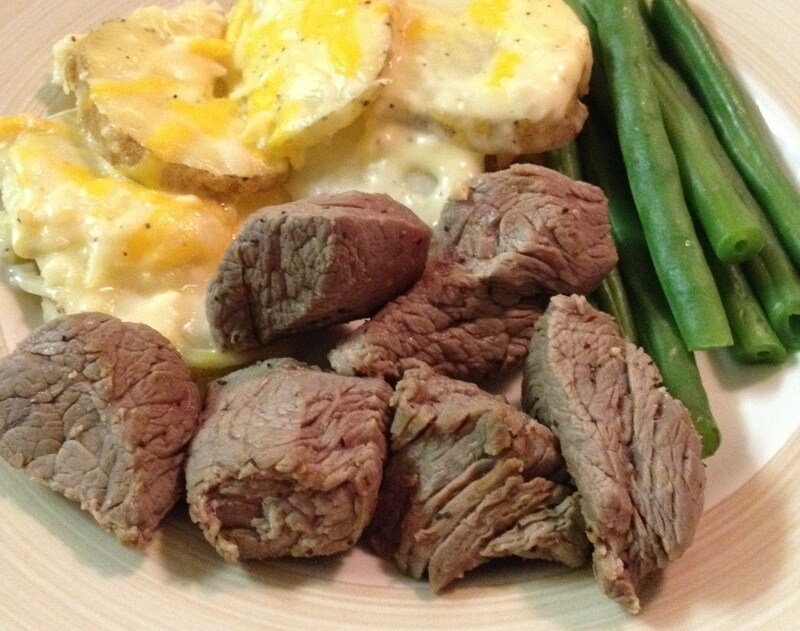 Salting Steaks: A Quick and Easy Way to Tenderize Meat | mrs. and the misc. Being from Texas, I love a good, tender, juicy steak, but the problem is, to get a nice steak you usually have to pay a nice price…which if it were up to my husband we’d be paying about every night. 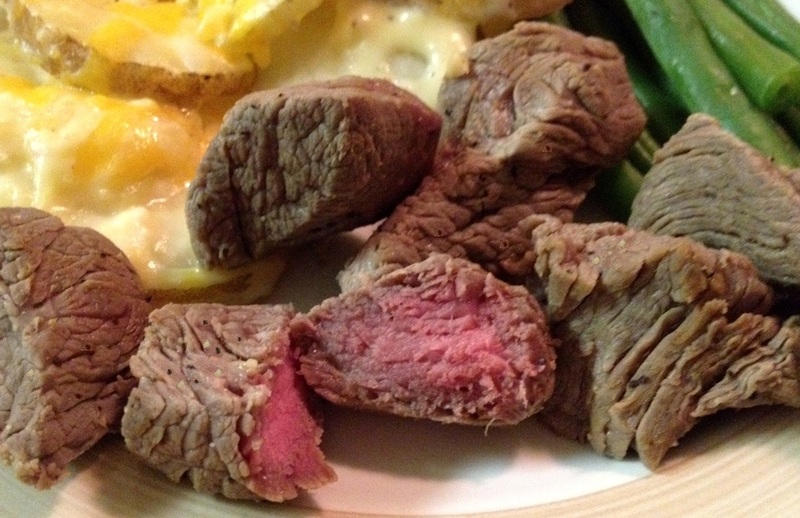 I have heard that you can tenderize any steak just by coating it in salt, but never actually tried it. The theory is as the meat absorbs the salt, it breaks down some of the muscle fibers. Salt tenderizing sounded easy and natural, but I was a little scared that adding that much salt would make the steak turn out tasting like bad beef jerky. The end result though, was meat so tender, this little trick changed how I will buy beef. How did I not know about this? I used beef tips, because if salting could make this cut tender, I figured it will work on about anything. 1. 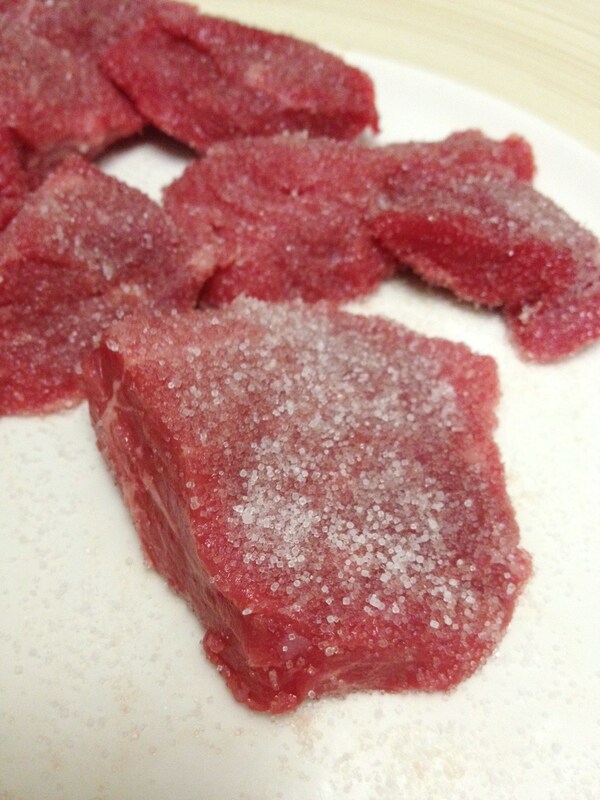 Coat steak with a layer of kosher salt, and let it sit in refrigerator for 1 hr. 2. Rinse beef well. (Might have been overkill, but I left it under the faucet for 5 min.) 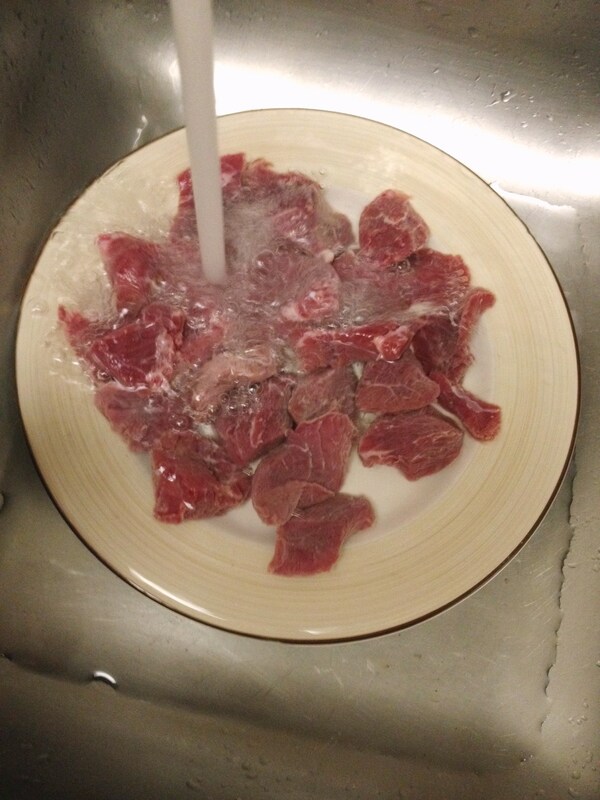 Pat meat dry with paper towels.